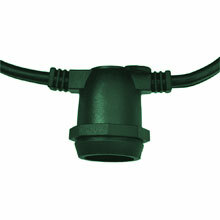 Commercial Grade Linear String Light Strands are great for lighting festive interiors and exteriors including building outlines, patio lighting, gazebos, porches, tents and many other applications. 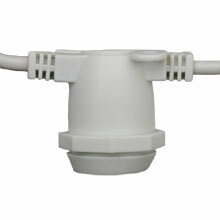 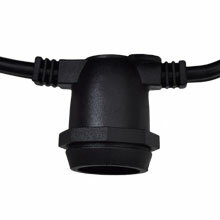 The intermediate base sockets are spaced 15" apart with a 24" lead wire requiring the purchase of a 2-Blade Quick Plug found in the Accessories Section to power the lights. 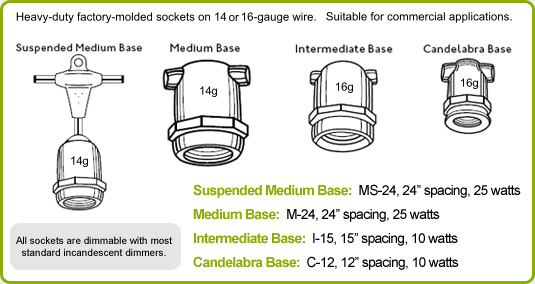 What's the difference between the socket bases?